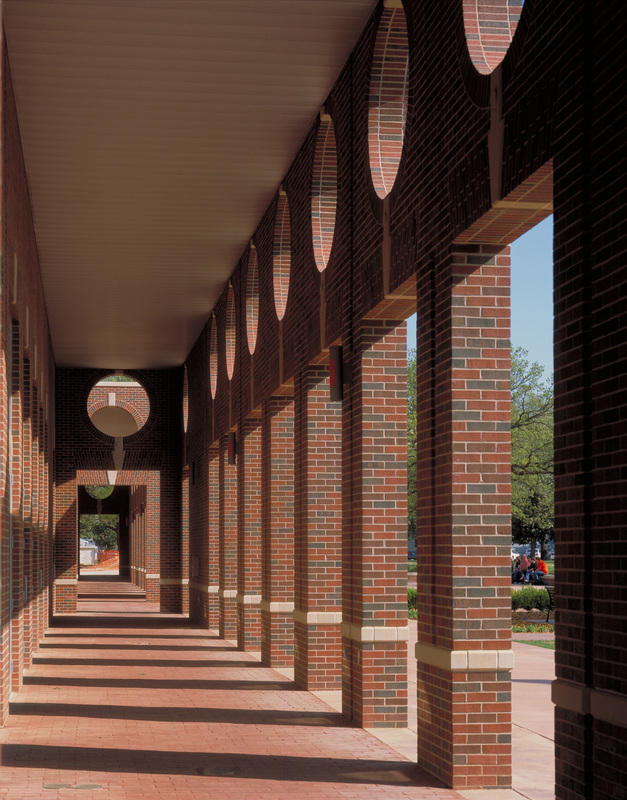 Positioned at the entry to the OSU campus, next to the university’s most historic building, the new Alumni Center provides a welcoming hub for visiting alumni. 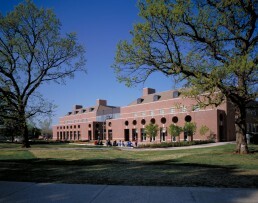 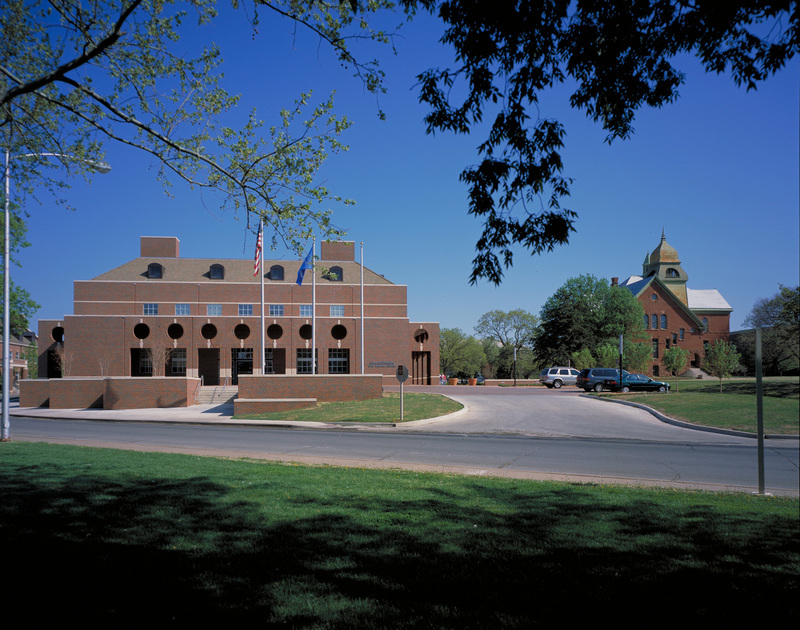 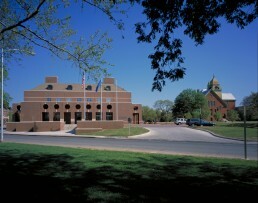 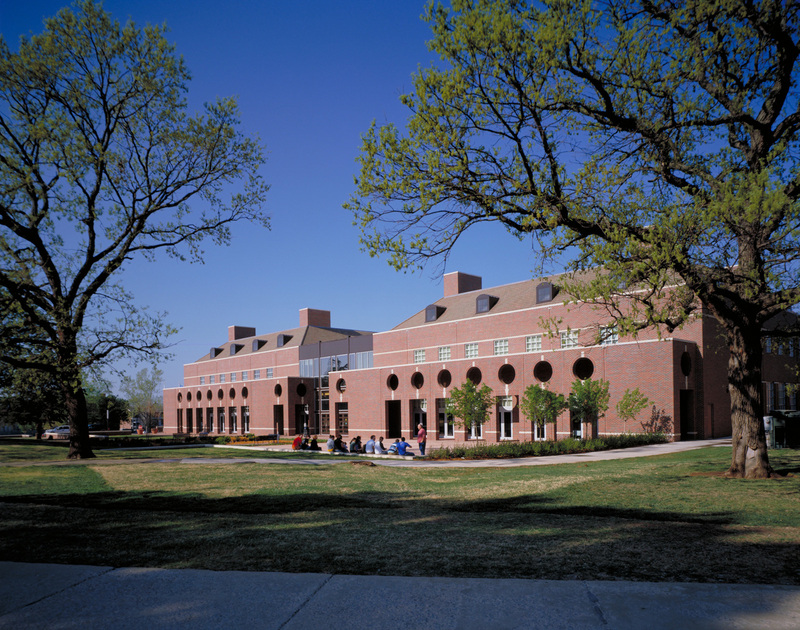 While the brick exterior makes the building a good neighbor at the heart of a cohesive, red-brick campus, appropriate massing and scale help create a genuine sense of place. Broad arcades add a unique and active feature to the campus vocabulary. 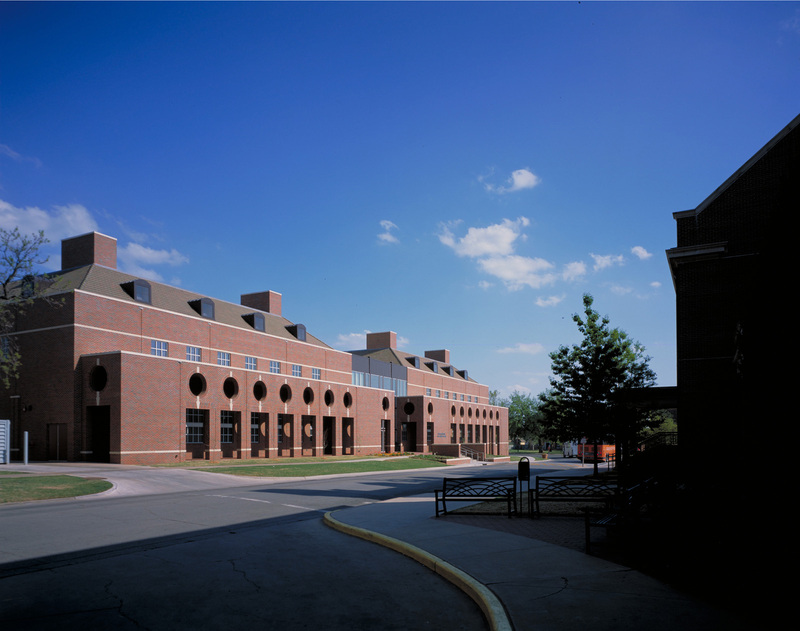 Robust brick walls, pierced by a series of large, round openings, create an identifiable signature for the building. 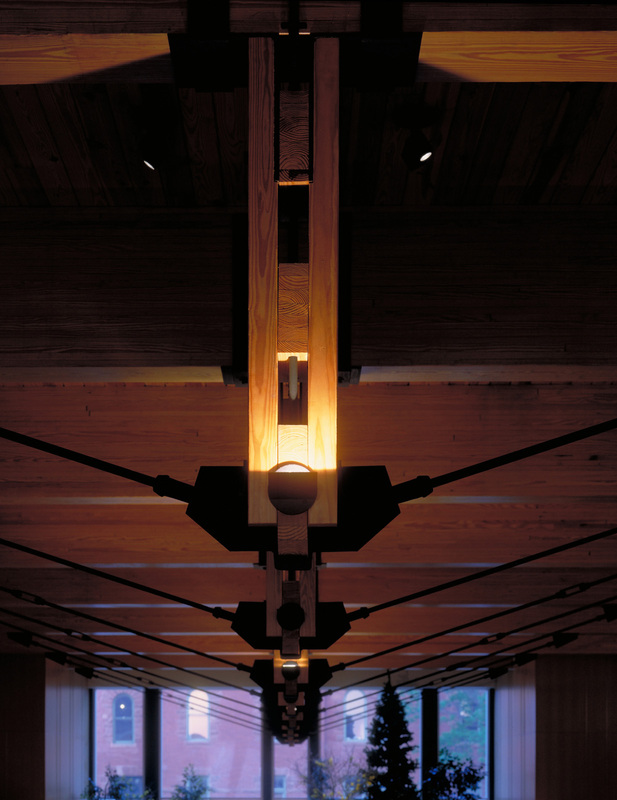 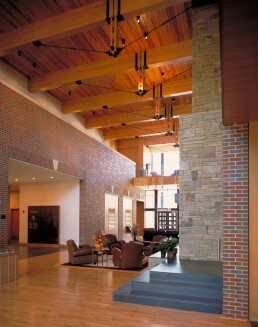 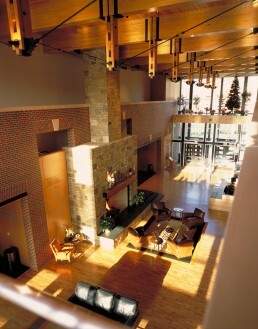 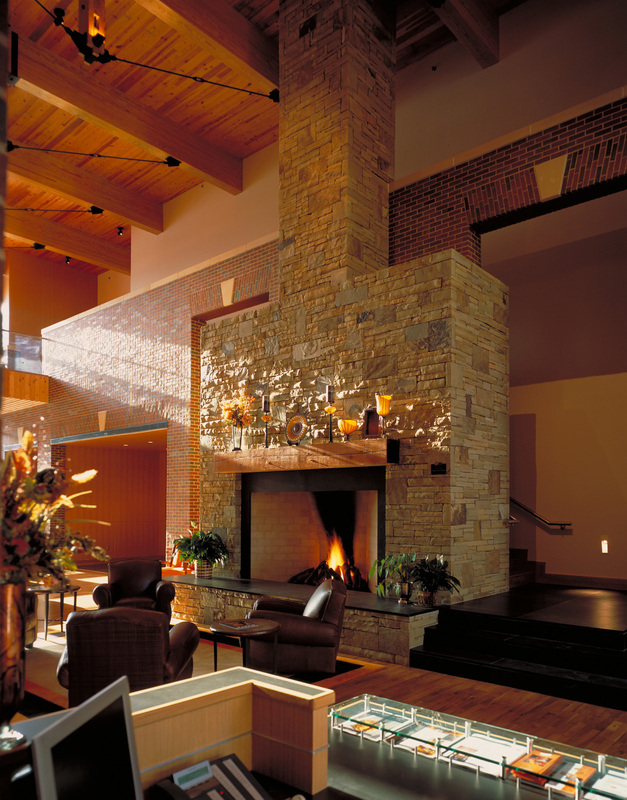 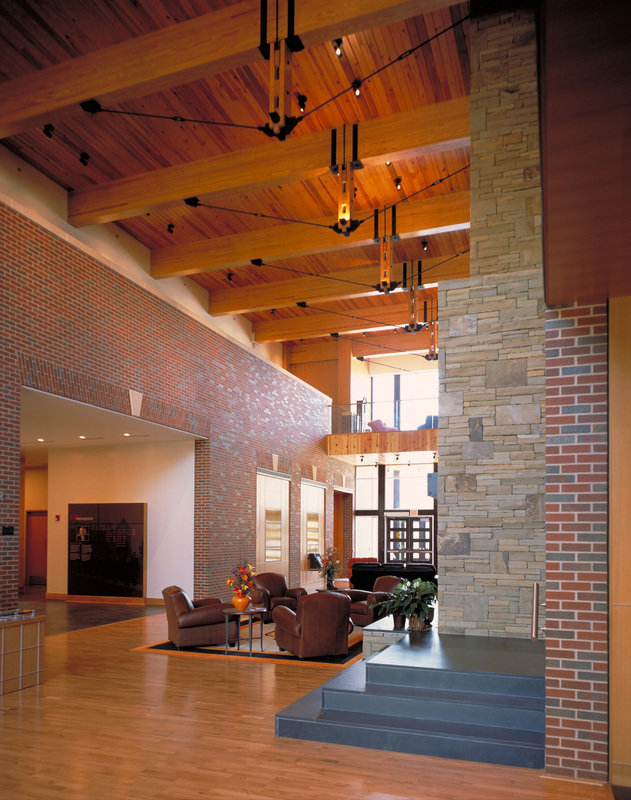 Interior spaces express the warm, friendly attitude of the alumni organization, visible in the Reception Hall’s native stone fireplace, oak floor and wood ceiling. 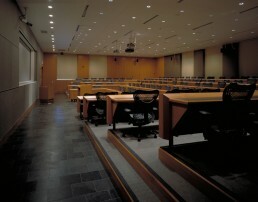 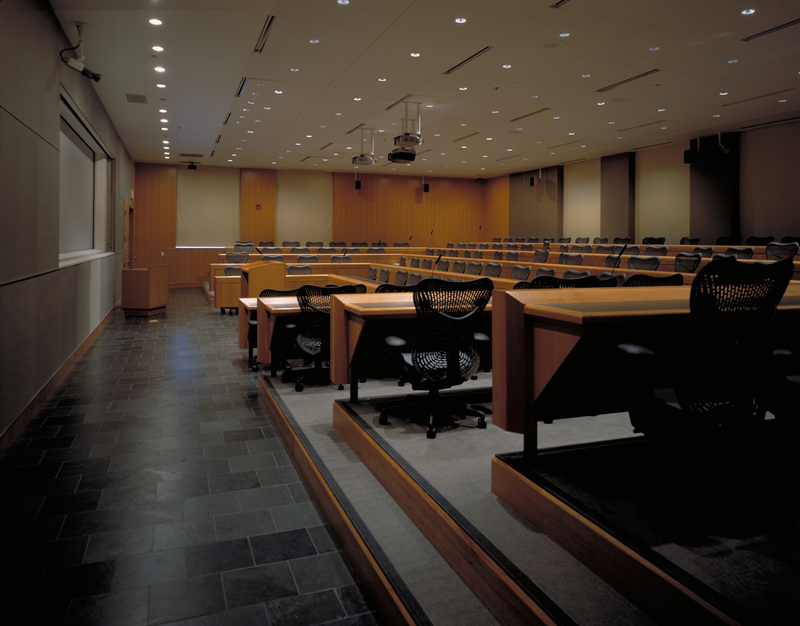 The building provides a range of public spaces to accommodate small groups, regular conferences, and massive crowds.